The Healthy Bones Center at 4812 S. 109th E. Ave., Suite 100 opened in 2014 with the goal of educating patients about bone health, as well as the prevention and treatment of osteoporosis. The Center provides full exams and blood work to create a complete plan of care for patients. In addition to the experienced physicians on staff, the Center’s Physician Assistant and Doctor of Chiropractic is one of the most qualified in the state. 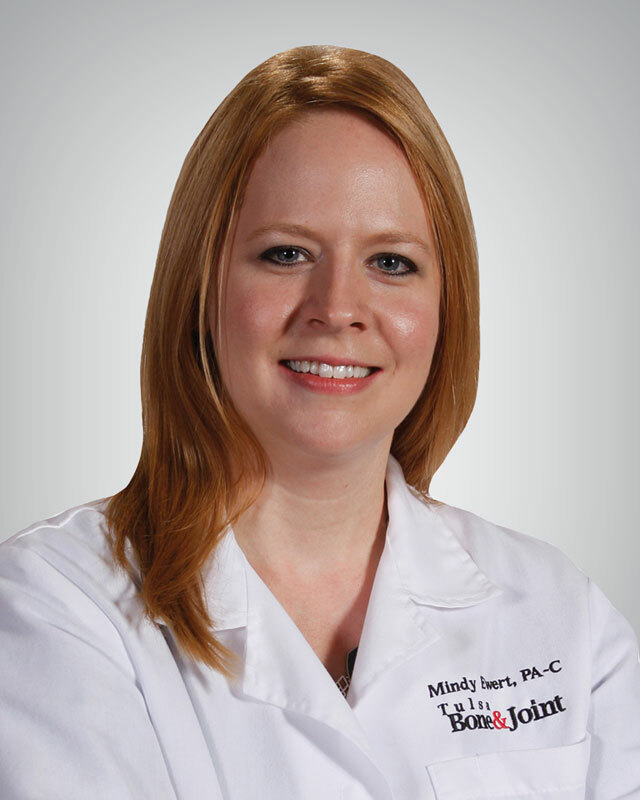 Mindy Ewert, PA-C conducts all aspects of patient care, including examinations and development of treatment and follow up plans for new and established patients. Trained at Wichita State University, Ewert brings a higher level of patient care and extensive orthopedic knowledge to the Healthy Bones Center at Tulsa Bone and Joint. “Because osteoporosis is most often diagnosed only after you have suffered a broken bone, the Tulsa Bone & Joint Healthy Bones Center focuses on fracture prevention. The goal is to identify and treat osteoporosis in our patients, thereby decreasing the chance someone may break a bone from a future ground level fall. Osteoporosis is a medical condition in which the bones become extremely porous, brittle, and fragile due to loss of tissue caused by hormonal changes, calcium deficiency, or vitamin D deficiency. Bones can become weak and may break easily. In the spine, osteoporosis is the most common cause of vertebral compression fractures. Because there are no symptoms, osteoporosis is also a silent disease. Sometimes the first sign is a broken bone, and by that time significant bone mass has already occurred. However, if bone loss is detected early, our orthopedic doctors and rheumatologists have many tools that can help you control the disease and possibly prevent it altogether. The only way to diagnose osteoporosis is through bone density testing, and Tulsa Bone & Joint has a full table DEXA bone scan available. If you have risk factors for osteoporosis and your physician recommends a bone scan, most insurance companies will cover bone density testing. Ewert’s treatment and diagnostic recommendations are based on guidelines directly from National Osteoporosis Foundation, American Academy of Clinical Endocrinologists and National Kidney Foundation. Call Tulsa Bone & Joint Associates today at (918) 392-1400 to request a complete osteoporosis screening at our convenient Tulsa office, or submit an online request form and one of our friendly staff will contact you shortly.